Believe it or not, hip-hop’s Golden Age happened right next to Lerner Hall, at Columbia’s radio station WKCR. When I walked by the entrance this past Thursday, on a rainy night, I saw a sign that read “R.I.P Squeeze Radio.” There was a bouquet of flowers and several candles. I thought it was a joke, but the security guard at the door definitely had me thinking otherwise. Overwhelmed with deadlines and a bunch of reading to do for my law class, I paid little attention to it and kept it pushing to the late night pizza shop. On Friday, I checked the Webs. Damn. It was true. I should’ve taken a pic. WKCR wasn’t going to have a rap show on Thursdays night any more. 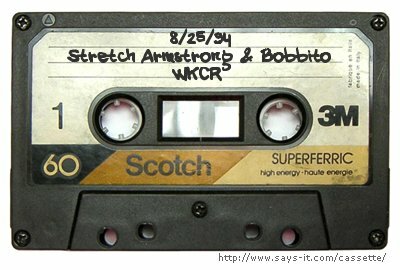 As I told Bobitto in an email a couple years ago, I lost lots of sleep listening to WKCR when I was in high school. It was my rap food and my first musical infatuation. I stayed up until 4 am to call in many times. I got through twice. Gotta find that tape. All those slick rap blogs couldn’t save KCRW or Fat Beats. Underground hip-hop, like the rest of the media business is getting pushed out of the analog world and into the digital. I wonder if that’s a good thing.